Kodokan Judo comes to us from the fighting system of feudal Japan. Founded in 1882 by Jigoro Kano, Judo is a refinement of the ancient martial art of Jujutsu. Dr. Kano, President of the University of Education, Tokyo, studied these ancient forms and integrated what he considered to be the best of their techniques into what is now the modern sport of Judo. Judo was introduced into the olympic games in 1964 and is practiced by millions of people throughout the world today. People practice Judo to excel in competition, to stay in shape, to develop self-confidence, and for many other reasons. But most of all, people do Judo just for the fun of it. The word judo means way of flexibility. Legend teaches us that the principles of judo were discovered during a severe winter, noting that the branches of trees reacted differently under the weight of the abundant snow. The larger ones broke as the more flexible folded and got rid of the aggressor. The path of flexibility was born. 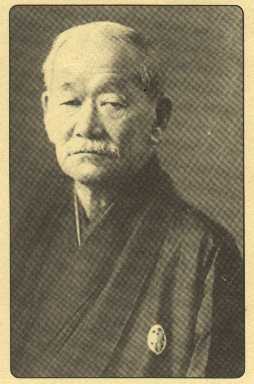 This discipline which came from Japan, was founded by Master Jigoro Kano in 1882. I started practicing Judo in 1973 with Chabi brothers in Algiers. Then I practiced for a long time with Joel Harmand and finally with Jean-François Penin. I was for a long time a Judo referee (Inter-region).